It’s the season finale y’all! Can you believe its all over but the reunion for this season. It’s been a crazy one, with Stassi returning, Kristin’s psycho obsession with Tom and Sheana’s amazing wedding. We end this season of with SUR celebrating their 10 year anniversary and Lisa doing her annual photo shoot. This year she’s going for an edgy retro feel and found the perfect spot. The Pink Motel. Perfectly fitting for a Vanderpump photo shoot I say and everyone is rocking 50 style outfits and looking hot doing it. But it can’t just be a fun day with your friends can it. Sheana starts the day by telling Katie how proud she is of her for standing up to Stassi and finally starting to be her own person. I agree with Sheana there. Katie is so much happier and at peace then she ever has been and it really is nice to see that. Then Sheana starts the drama by telling Sandoval what happened at the dinner. Jax admitting to the table that something happened with Miami girl. Tom can’t believe that after their heart to heart about him keeping his mouth shut or their friendship is pretty much done he’d fuel Kristin’s fire. Now he has to pretend nothing is wrong for the rest of the day. Sheana then goes to Ariana to spread the good cheer. Ariana could care less because she’s smart enough to consider the source. Even though Jax is 100% sure something happened, Ariana trusts Tom 100%. Sheana doesn’t want her to be naive and Ariana is annoyed Sheana is budding her nose in here. Sheana concedes that if Ariana is sure then she will drop it forever. FINALLY! The shoot is over and Tom can finally confront Jax. Typical Jax evades and denies saying anything. It’s so frustrating watching Tom talk to Jax I can’t imagine being Tom. Ariana hears the conversation and goes over and Jax just bolts. Typical dog, make the mess and run away. He’s a 30-year-old toddler and I’ve had enough of him. Schwartz is taking the time everyone is at the shoot to go see his therapist solo. He needs to sort his commitment issues out fast before he loses Katie forever and he sees that. He’s torn. On one hand he wants to be with Katie forever and knows that she is the one, but the thought of a formal commitment scares the life out of him. He’s scared to propose and even thinks maybe he should just let her go so she can find the love and commitment she needs. I’ll give him credit for trying to sort these issues out, and for his and Katie’s sake I hope he gets his act together because I think they really do love each other. Lisa and Stassi meet for lunch. Lisa comments to her again on how she has cut everyone out of her life. Get over it Lisa, I know you are trying to reel her back in for the sake of your show. She’s high drama but she’s not biting. She wants her to come to the anniversary party that night and reluctantly agrees. She hasn’t been in a room with Jax in a long time but realizes he’s late for everything so she can go early, take advantage of the open bar and get out before he even arrives. Lisa also wants her to talk to Katie. She is trying to get this friendship back on track but I honestly think that Katie is better of without Stassi in her life. Lisa has also lifted the ban on Kristin for one night and James is making Kristin promise to behave. She agrees that after tonight after one last-ditch effort to open Ariana’s eyes to Tom she’s done. The party is in full swing. Stassi and Katie are awkwardly avoiding each other and Stassi finally breaks the silence. What for I have no idea. She wants Katie to apologize for going to Miami and befriending her co workers and Katie hasn’t done anything wrong and refuses to beg for some weird forgiveness that Stassi thinks she’s owed. As Katie says, she is choosing to let the past be the past and have healthy relationships while Stassi thrives on animosity. Jax finally arrives, before Stassi spots him he flirts with Vail in front of Peter and she flirts back. Peter is not a happy camper and Jax moves on. Stassi sees him and bolts from the party. Kristin arrives and is a glutton for punishment. She goes to talk to Lisa. If I were Kristin I’d have my head down and just be glad I was allowed back in the door. Not this girl. Lisa offers her some sage advice. If you were truly happy you wouldn’t care about Tom and Ariana. Make this right! Sound advice. Kristin won’t take it. The Tom’s and Jax are outside where again he denies telling Kristin anything. When Kristin enters the conversation he is still denying he said anything. Kristin is hell bent on not just being right about Miami girl but proving she’s not a liar. She wants Jax to tell the truth and all Jax can say is no one likes her. Jax actually tells her to STFU and Sandoval wants him to stop deflecting things back to Kristin. Kristin finally realizes that Jax will never ever tell the truth and decides (PRAISE JESUS) to let Tom and Ariana win and live their lives. Hallelujah. Kristin is going to on with James, they can all go to hell. At this point Tom doesn’t know what do with Jax but he does know what to do with Ariana. He pops the question, well not THE question but he does ask her to move in with him and she happily say yes. Katie lays things out for Schwartz. While she glad they are in therapy she wants a commitment and is running out of patience. It’s time to piss or get off the pot and she is giving him 6 months to sort out his commitment issues and move this relationship to the next level or she’s out. Tom starts to cry. He loves Katie so much but marriage scares him but so does the thought of losing Katie. Will these two be able to sort things out. I really hope so! I’ve come to really love Katie this season and I want her to get her fairytale wedding to. What did you think of this season. Did you get enough drama? Comment below and let me know. 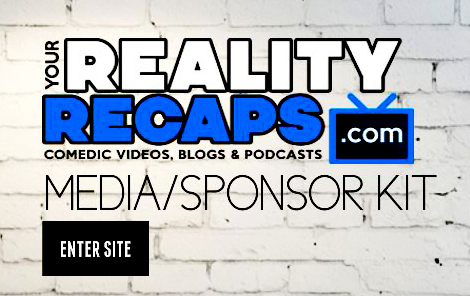 Don’t forget to check out our BRAVO page for Jon’s Audio blogs where we get the inside info right from the cast. You won’t want to miss it, plus all our written recaps and audio blogs for all the BRAVO shows are there. Don’t forget to check out all our coverage on Survivor, The Amazing Race, RuPaul’s Drag Race , Hell’s Kitchen and The Bachelor. If you really love our content and want it to continue consider donating to our Patron campaign. Even as little as a dollar a month would really help us to continue to bring you all our content for free. Another way you can help us is by using our Amazon link to start your online shopping. It costs you nothing but we get a little big back.